If you want to open computer center then there is no need to think so much here Akhil Bhartiya Computer Shiksha Abhiyan is providing the easy way to "Get Franchise To Open Computer Center In India". 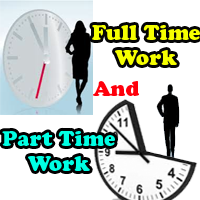 This project is very helpful for the persons who are interested in self-employment in India. If you want to open computer center and don't have any knowledge then this article will help you a lot. If you want to take affiliation to open computer center then also this article will help you a lot. 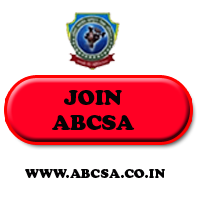 By connecting with ABCSA any one can open computer education center in any part of India. 1. Where Can I Open Computer Center? 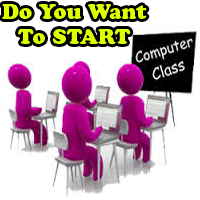 This is very important question that where to start computer center, so the answer is, one can start anywhere in the heart of city, village, tehsil, colony, in any building or at home too. Who Are Eligible To Open Comptuer Center? Any one who have basic knowledge of computer subjects or mastery in any specific computer subject can open computer center in his or her area. 3. What Things Are Required To Open Computer Center? There is no need to have tension to open any computer center, you can start with 2 computers or laptop, so for this you need table, chairs, one board, internet connection. And you can start with 10x10 small room. 4. What about name of computer center? It depends upon you, keep an easy name which will be used to make banner. ABCSA will provide you the banner with the starting kit. 5. Who can teach in computer center? If you have proper knowledge then you can teach yourself or you can hire computer teacher for teaching. 6. Is there need of franchise to open computer center? Yes! franchise will make your work easy, smooth and better. A recognized computer education center like ABCSA will help you every time you take admission. You can get proper guidance in every step regularly while running computer center. So if you are ready to make career in IT world then here is the best FRANCHISE OFFER from an ISO certified institution ABCSA which is already working in India Successfully. Banner for promotion of center. You will be able to run Diploma courses, Certificate courses, Professional courses, vocational courses etc. after taking franchise. How to apply for franchise of ABCSA? First of all send enquiry email and get the details of franchise. After that if you are ready then Akhil Bhartiya Comptuer Shiksha Abhiyan will send you form and other details to start process of franchise. Your Authorisation certificate and online confirmation will be send within 1 day. Your kit will be dispatched within 3 to 4 days. You can start your computer center after you get your Code. apply for ABCSA franchise, guidelines to start computer center, Computer center registration steps, How to ABCSA affiliation, Training center registration, proposal to open computer center.